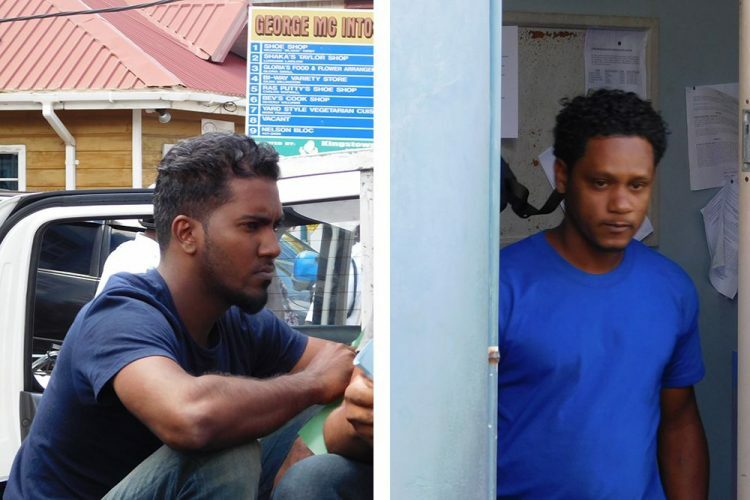 Two St Lucian nationals were slapped with two-month prison terms last Tuesday, after they pleaded guilty to immigration charges. Mario Chitole, 25, and Aaron Kadoo, 30, were first apprehended by police on March 13, 2017, in relation to reports of fraudulent activities at Automatic Teller Machines (ATMs) around St Vincent and the Grenadines. The men admitted to police that they had not cleared immigration. They were jointly charged that on March 10, 2017 at Barrouallie, they entered the state by boat and disembarked without the consent of an immigration officer. However, Kadoo was separately charged that on that same date and place, being a prohibited immigrant, he entered the state by boat. On March 15, they were brought before magistrate Bertie Pompey at the Kingstown Magistrateâs Court on the said charges. Last week, however, Pompey, who was originally minded to impose a sentence of six months for the offences, instead imposed a two-month sentence. Time spent on remand would also be taken into account. There is also a deportation order pending the outcome of their other matters. Fellow St Lucian national Jammy Jameson Harry joins both men on charges related to the fraudulent activities. Kadoo is charged that on March 12, 2017 at Kingstown, he had in his possession articles, namely, 121 ATM cards for the use of theft, while Harry is charged that on that same day he had four ATM cards. Both men pleaded not guilty. Chitole then joined Harry and Kadoo on a conspiracy charge between March 9 and 12, 2017. All three pleaded not guilty. Harry is separately charged with stealing a total of EC$15,500, between March 10 and 12, 2017. Bail was never an option for the non-nationals.